The company plans to use the money to expand its reach in the US, including a expanding to a New York office and more clinical studies. 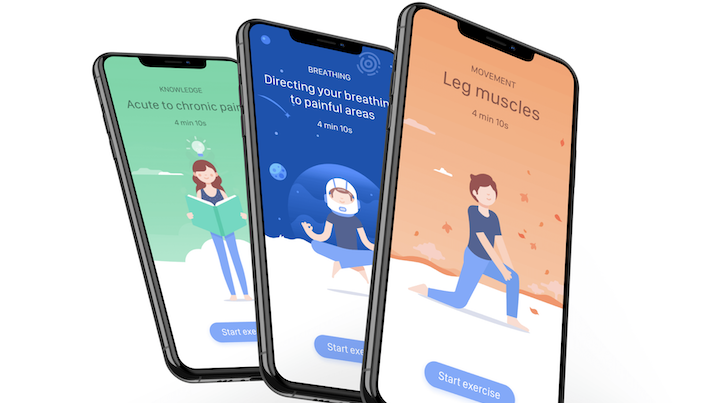 Digital physical therapy company Kaia Health, which has offices in Munich and London, has landed $10 million in a Series A funding round led by Balderton Capital. Kaia employs AI and machine learning to create home-based, clinically-validated exercise plans for users. While the Kaia has developed products to address everything from exercise and wellness to treating COPD symptoms, the company’s signature product is a back pain app. The app was designed to help people living with back problems manage their pain through guided exercise at home. The company pitches the technology as an alternative to more pain killers. The startup has been working on other apps as well. In June the company announced that it had launched an AI-powered motion tracking technology called Perfect Squat Challenge. The idea is that the app will work as a personal trainer and give users real-time feedback on the form of their squats. The new money will be used to help the German company expand further into the US. As part of the plan the company will open a new office in New York City and fund more clinical studies on the product. Kaia isn’t the only company working on helping people with chronic back pain through apps. Last week Hinge Health unveiled results from its 177-person trial, which gave people an app that was targeted at relieving back pain. The study found that the program significantly decreased users’ lower back pain, disability and interest in surgery. Digital back health startup Kiio recently released data from its one-year pilot, suggesting that patients who used the platform decreased their medical spending, made fewer visits to a provider, and filled fewer opioid prescriptions compared to those who received it but didn’t use it.